Electoral delegations from the African Union (AU) and the Africa Caribbean and Pacific Group (ACP) shared their assessments after overseeing the senatorial, legislative and municipal elections in Equatorial Guinea. 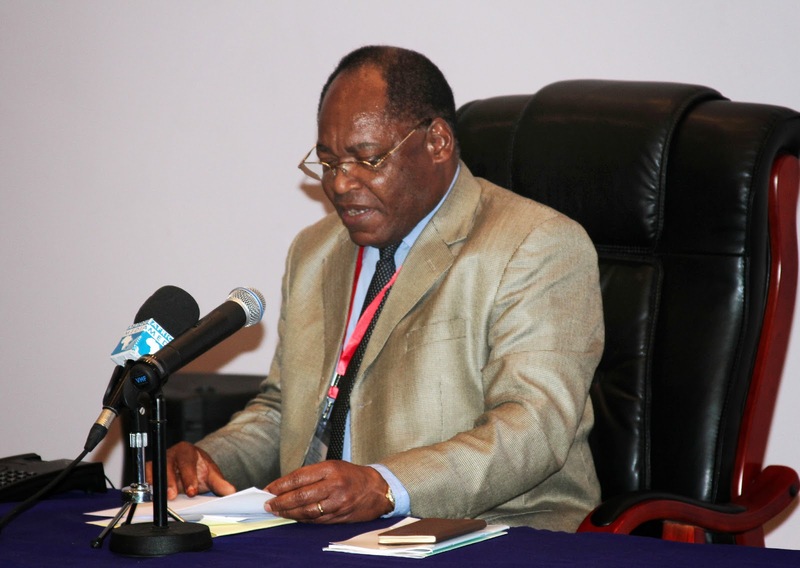 The AU electoral delegation recently held a press conference, where they concluded the elections were held in a peaceful atmosphere and that Equatoguineans had the opportunity to express their opinions by voting on May 26. Mame Madior Boye, former Prime Minister of Senegal and Head of the AU electoral delegation said, “The African Union Mission congratulates the people of the Republic of Equatorial Guinea for their role in the establishment of democratic institutions.” She called on political parties to accept the election results, and use the law in cases of dispute, and work together to build democracy in Equatorial Guinea. “The elections show a step forward in the development process of the country’s democracy,” said Alejandro Gonzales Pons, Ambassador of the Dominican Republic and head of the commission of the Africa, Caribbean and Pacific Group (ACP). The government of Equatorial Guinea invited these delegations as part of their efforts to improve the electoral process. Equatorial Guinea’s Ministry of Interior announced elections initial results after closing the polls for the senatorial, legislative and municipal elections. Clemente Engonga Onguene Nguema, Deputy Prime Minister in Charge of Politics and Democracy, and Minister of Interior and Local Corporations addressed the media yesterday at the Ministry of Interior and shared the following results: The electoral district of Malabo showed 3,133 votes for the Democratic Party of Equatorial Guinea (PDGE) and the electoral coalition, 161 votes for the Convergence for Social Democracy party (CPDS), and 44 votes for the Popular Action of Equatorial Guinea (APGE) party. Bata polls showed the following results: 7,164 votes for PDGE and the electoral coalition, 93 votes for CPDS and 23 votes for APGE. Diplomats residing in Equatorial Guinea and electoral delegations from the African Union (AU) and the Africa Caribbean and Pacific Group (ACP), who oversaw the senatorial, legislative and municipal elections, attended yesterday’s event. Minister of Interior shared the electoral calendar for this week and announced that after all votes have been checked and ratified by the municipal boards, the Ministry will announce final electoral results on Friday, May 31. Elections’ results will be submitted to the Constitutional Court, which will validate the outcome of the election. Delegations from the African Union and the Africa Caribbean and Pacific Group came to Equatorial Guinea to observe the elections and ensure that they are carried out fairly and democratically. After casting his vote, President Obiang addressed the nation during a press conference and urged all citizens to participate. 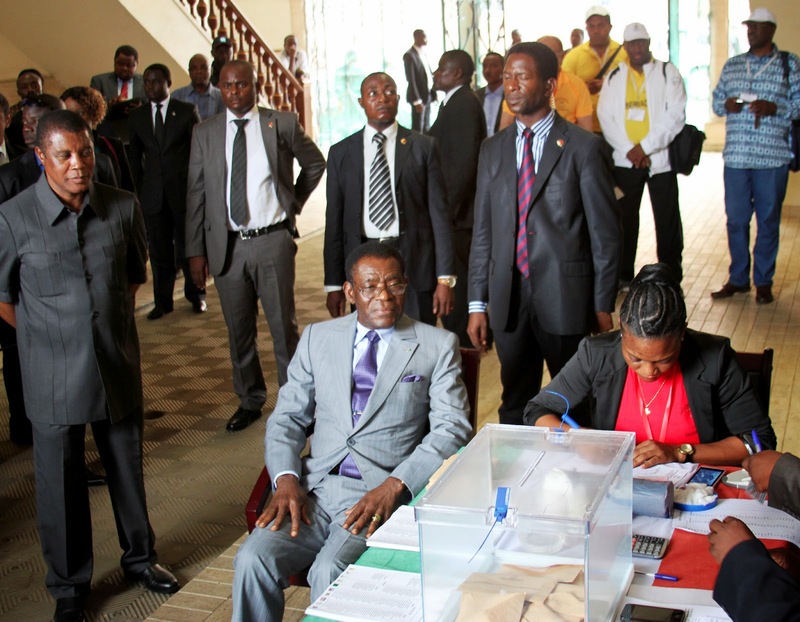 For the first time, Equatorial Guinea’s voters will elect members of a new parliament, House of Representatives as well as municipalities, established in accordance with the constitutional reforms of February 2012. Political parties have shared their platforms and ideas with Equatoguineans as part of the country’s efforts to educate voters and continue its efforts to further develop the country. The country’s majority political party, the Democratic Party of Equatorial Guinea (PDGE), along with the 10 parties that form the country’s democratic coalition, gathered in the Malabo stadium today to close their electoral campaign. In the closing ceremony, PDGE’s representative noted that women and youth have played a major role in the elections, more than in previous campaigns. Two political parties and a coalition of parties are participating in the upcoming elections to be held on 26 May 2013. The political parties include the Convergence for Social Democracy (CPDS) and the Popular Action of Equatorial Guinea (APGE) party, and the coalition includes the Democratic Party of Equatorial Guinea (PDGE) and the majority of the registered political parties in the country. Equatorial Guinea’s major political parties are working to increase investment in the agriculture and health sectors, according to their platforms and recent interviews with candidates. Equatorial Guinea’s economy continues to grow at a fast pace, which presents the opportunity to improve the living standards of all its citizens. The Democratic Party of Equatorial Guinea (PDGE), the current majority political party in the country, is determined to continue with its development project to improve the integral well-being of the nation. In reference to the agriculture sector, the PDGE plans to continue its support to modernize the industry and enhance the role of women and youth. The party wants to speed the transformation and commercialization of agricultural products in order to achieve higher quality goods. PDGE also plans to create public companies in the sector to promote investment, optimize the use of the country’s soil to address local food needs and increase exportation. Another plan for this sector is to build labs to analyze the country’s soils and plants, develop agriculture-training centers to facilitate the local farmer’s training and reduce rural emigration. Agriculture is a priority for PDGE’s political platform; they expect to build centers and food conservation units in all provinces. The PDGE's rival political party, the Convergence for Social Democracy (CPDS), has put forth an alternative development plan. Regarding the health sector in the country, PDGE plans to renovate the infrastructure of hospitals, and provide them with modern, therapeutic equipment as well as medicine needed to treat Equatoguinean citizens. The party expects to build new modern hospitals and centers, including a national reference center for preventative diseases. They also aim to guarantee access and pharmaceutical assistance to students free of cost. PDGE’s platform plans to build psychiatric regional hospitals and strengthen the fight against malaria, AIDS, tuberculosis and other diseases. Both parties discussed their platforms as part of their campaign for the upcoming elections on May 26. Equatorial Guinea’s major political parties are working to increase investment in the education sector, according to their platforms and recent interviews with candidates. Education continues to be a priority for the government of Equatorial Guinea. They have been utilizing its oil wealth to build upon the country’s sectors, including education, through a development plan called Horizon 2020. The Democratic Party of Equatorial Guinea (PDGE), the current majority political party in the country, plans to continue its support to expand the education sector across the country and improve the quality of it to move Equatorial Guinea towards a self-sufficient and growing economy. In reference to the education sector, the PDGE plans to hire more professors to reduce the student-to-professor ratio, establish a research fund and implement a scholarship system for all education levels, including technical professions and university students abroad. The party wants to expand the mandatory and free-of-cost education until the second grade. In addition, PDGE plans to build special education centers, establish boarding schools in all provinces and continue its support toward improving learning centers. The party aims to provide free-of-cost medical and pharmaceutical services for Equatoguinean students and build more universities and schools in Malabo, Bata and Oyala, in order to improve the country’s education quality. The PDGE's rival political party, the Convergence for Social Democracy (CPDS), has put forth an alternative education plan. In a recent interview, Andres Esono, communications secretary of the CPDS and candidate standing for election from Malabo for the opposition party shared similar education objectives to those of PDGE. CPDS plans to build more schools in the capital city of Malabo to provide Equatorial Guinea’s youth with better education and jobs. Mr. Esono also shared his party’s objective to partner with companies in Equatorial Guinea and offer internships for university students. As expressed in recent interviews with candidates, improving the education sector is a top priority for all Equatorial Guinea’s participating political parties. They continue to campaign throughout the country in preparation for the upcoming elections on May 26th. On May 26th, Equatorial Guinea will hold elections to determine the new members of the country's House of Representatives, Senate and Municipalities. Candidates and supporters for the participating political parties have been campaigning throughout the nation to share their message and promote their political platform. Andres Esono, Secretary of Communications for the Convergence of Social Democracy Party (CPDS) in Equatorial Guinea, talks about campaigning for the upcoming elections on May 26th during an interview. Lucas Nguema, Secretary General of the Democratic Party of Equatorial Guinea (PDGE), talks about campaigning for the upcoming elections on May 26th during an interview. Tomás Mecheba Fernández Galilea. Minister of health, secretary general of the Socialist Party of Equatorial Guinea, said the government is working to renovate all the hospitals in the country within the next four years. Mecheba shared the country’s plan to improve the health sector during a press conference with international media, held in the Equatorial Guinea Cultural Center in Malabo on May 16, 2013. Equatorial Guinea political parties addressed the local and international media in a press conference held in the Equatorial Guinea Cultural Center in Malabo on May 16, 2013. Political candidates participating in the upcoming elections, from the opposition parties and the coalition, were able to share their platforms in an open and transparent setting. Candidates showed civility toward one another and shared ideas that reflected genuine democratic participation. President Obiang of Equatorial Guinea addressed the local and international media in a press conference held in Malabo on Tuesday, May 14th. During his speech, he called for greater participation and involvement in Equatorial Guinea's upcoming elections while also calling on African states to work together to bring progress and economic independence to the continent. He also addressed the government's development plan called Horizon 2020. He stated that Equatorial Guinea is utilizing its oil wealth to build its political systems as well as health, agriculture, education, banking and transportation sectors. All the government ministries must meet benchmarks to get closer to meeting the goals of the President's Horizon 2020 plan to move Equatorial Guinea towards a self-sufficient and growing economy. Minister of health, also leader of Socialist Party of Equatorial Guinea, says citizens have access to quality care. The government of Equatorial Guinea is working to renovate all the hospitals in the country within the next four years, according to Minister of Health Tomás Mecheba Fernández Galilea. Mr. Fernández, who is also secretary general of the Socialist Party of Equatorial Guinea (PSGE), discussed the renovation project in a press conference with international media about his party’s platform and developments in the country’s health sector. The PSGE is part of Equatorial Guinea’s governing coalition. According to Mr. Fernández, foreign companies have worked with the government to play an important role in improving health conditions in the country. “The government requires that all oil companies contribute toward social service projects. We have had excellent results with the work that Marathon Oil has done. They partnered with us to establish a malaria program that has benefited citizens throughout the country, we are planning to produce the malaria vaccine here in Equatorial Guinea,” he said. 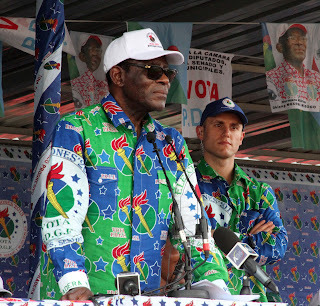 Equatorial Guinea’s political parties are currently campaigning for the elections to be held on May 26. This is a historic election, in which citizens will elect members of a new Senate established in accordance with the constitutional reforms of February 2012. Voters will also elect members of a new parliament as well as local council members. Equatorial Guinea political parties today addressed the local and international media in a press conference held in the Equatorial Guinea Cultural Center in Malabo. Political candidates participating in the upcoming elections, from the opposition parties and the coalition, were able to share their platforms in an open and transparent setting. Candidates showed civility toward one another and shared ideas that reflected genuine democratic participation. During the press conference, Andres Esono, communications secretary and Malabo major candidate for the opposition party, Convergence for Social Democracy (CPDS) said, “We have been able to campaign freely and share our platform with the people in Equatorial Guinea. We have shared our ideas and have communicated how we plan to share the country’s resources in an equal way.” When talking about incidents during the electoral campaign, Mr. Esono said that some of their posters had been ripped from the walls around town. President Obiang of Equatorial Guinea today addressed the local and international media in a press conference held in Malabo. He called for greater participation and involvement in Equatorial Guinea’s upcoming elections while also calling on African states to work together to bring progress and economic independence to the continent. The Ministry of the Interior and Corporations has provided financing to all of the political parties. Funding includes campaign advertising and travel costs. Through a plan called Horizon 2020, Equatorial Guinea is utilizing its oil wealth to build its political systems as well as health, agriculture, education, banking and transportation sectors. All the government ministries must meet benchmarks to get closer to meeting the goals of the President’s Horizon 2020 plan to move Equatorial Guinea towards a self-sufficient and growing economy. “After 2020, our vision will shift from oil revenues and focus more on our other resources. 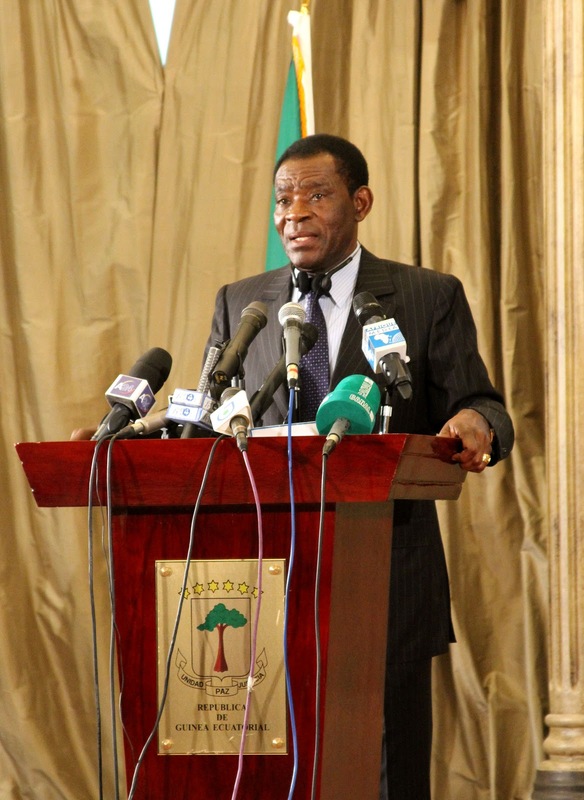 Equatorial Guinea’s progress depends on Equatoguineans’ professionals, on their vision,” concluded President Obiang. Two political parties and a coalition of parties are participating in the election campaign. The political parties include the Convergence for Social Democracy (CPDS) and the Popular Action of Equatorial Guinea (APGE) party, and the coalition includes the Democratic Party of Equatorial Guinea (PDGE) and the majority of the registered political parties in the country. The government of Equatorial Guinea has established a new loan-guarantee program for small and medium-sized businesses (SMEs) as a means of encouraging entrepreneurs and stimulating the creation of new businesses in the country. Under the program, known as the Pilot Partial Guarantee Fund for the Creation of Small and Medium Enterprises, the Government, the Ministry of the Economy will guarantee payment to the National Bank of Equatorial Guinea (BANGE) of loans to small and medium-sized entrepreneurs that are in default. BANGE is a private commercial bank. The ministry will cover up to 40% of a loan made by BANGE to small and medium-sized enterprises, should the loan be in default. To do this, SMEs must meet a series of requirements when applying for a loan with BANGE, such as presenting a business plan or operating profit, among others. The government announced the program at a ceremony on May 3, when Minister of the Economy Celestino Bonifacio Bakale Obiang and the director of the National Bank of Equatorial Guinea signed the official agreement. The main objective of this initiative, according to Minister Bakale, is to "create jobs and create a competitive business environment." Friday, May 26, it will be the official start of the campaign for the legislative, senatorial and municipal elections to take place on May 26. 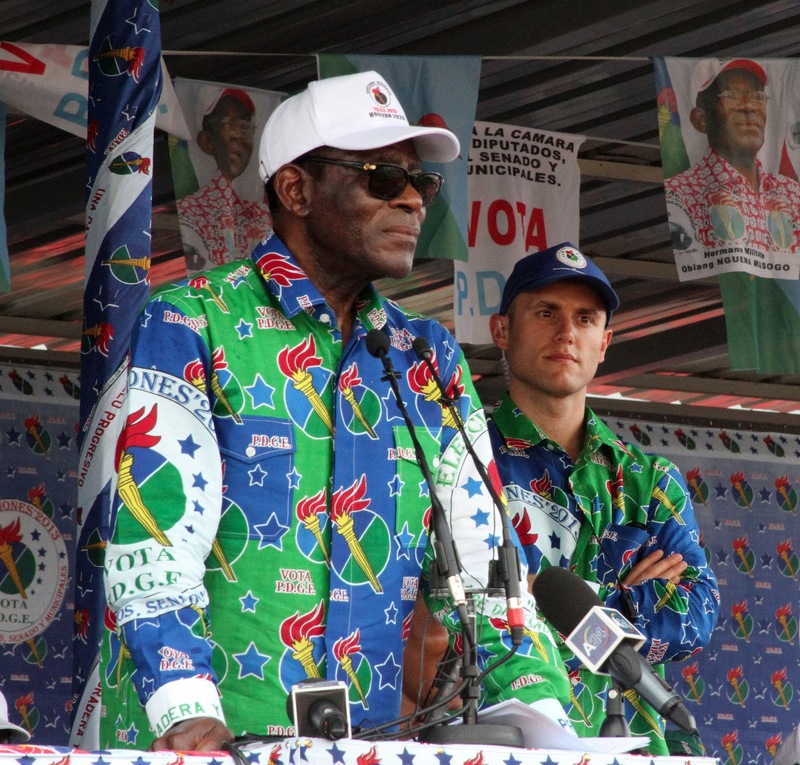 There will be three democratic options that the voters may choose: the first one, the great democratic coalition formed by the majority of the legally established parties: Democratic Party of Equatorial Guinea (PDGE), Liberal Democratic Convention (CLD); Socialist Party of Equatorial Guinea (PSGE), Progressive Democratic Alliance (ADP), Social Democratic Coalition Party (PCSD), Social Democratic Union (SDU) Popular Union (UP), Liberal Party (PL), Social Democratic Party (PSD), National Democratic Union (UDENA) and Social Democratic and Popular Convergence (CSDP). They all signed, on March 30, a large political coalition agreement to stand united in this election. Moreover, the elections will also be attended by Convergence for Social Democracy (CPDS) with its Secretary General, Placido Mico at the head, and Popular Action (AP) of Carmelo Mba Bacale. During the Special Session of the U.N. General Assembly on Peaceful Resolution of Conflict in Africa on April 25, 2013, President Obiang Nguema Mbasogo of Equatorial Guinea made a plea to give African nations a veto over UN Security council actions on the continent. The Republic of Equatorial Guinea will hold elections on 26 May 2013. Citizens will elect members of a new parliament as well as local council members across the country. For the first time, voters will elect 55 members of a new Senate established in accordance with the constitutional reforms of February 2012. The remaining 15 senators will be appointed by President Obiang Nguema Mbasogo. More than 100 candidates for Senate will begin campaigning this Friday for a two-week period prior to election day. 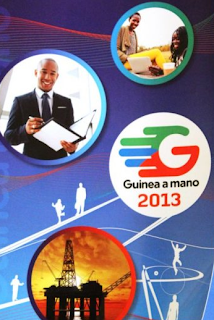 Equatorial Guinea recently launched a publication and website that provides a comprehensive list of Equatorial Guinean companies ordered by sectors called “Guinea A Mano” (Guinea at Hand). The new business directory offers nearly two hundred pages of companies ranging from the banking to agriculture, automotive to transportation, wood, hotels, beauty, and other sectors. The business directory concept was designed and promoted by the former Minister of Finance, Francisca Tatchouop Belobe. Government officials attended the launch ceremony, including the Minister for Finance and Budgets, Marcelino Owono Edu, and the Vice Minister of Planning, Economic Development and Investments, Valentin Ela Maye.